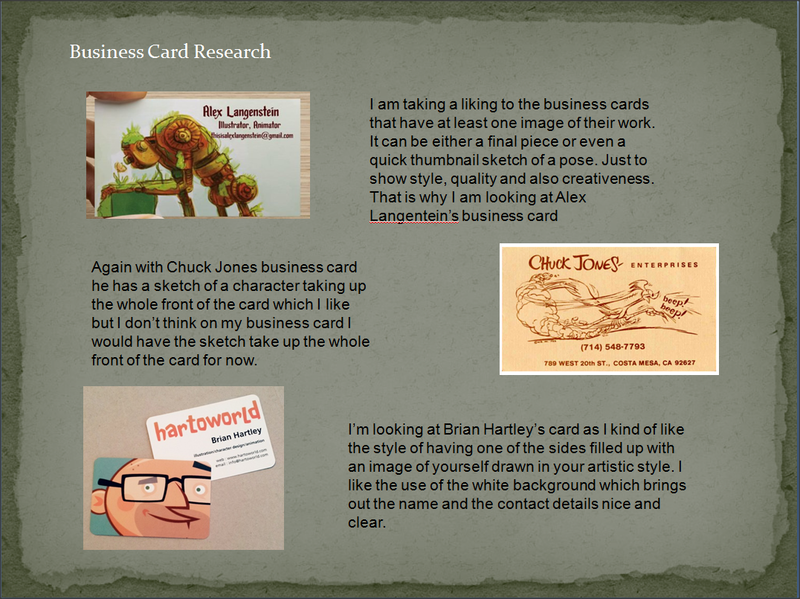 Just a catch up post about the recent assignment that the whole animation class has been given for the business module this year. 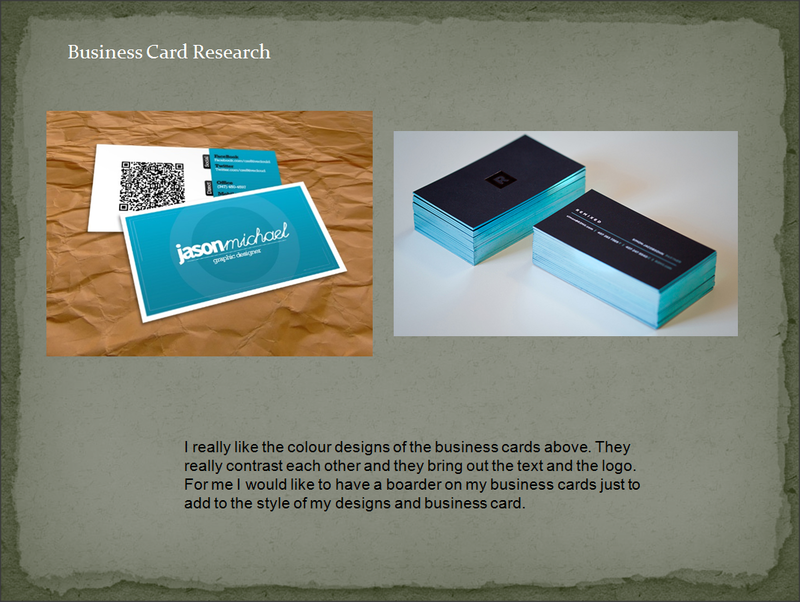 This assignment is to create a CV, Cover Letter and a business card. 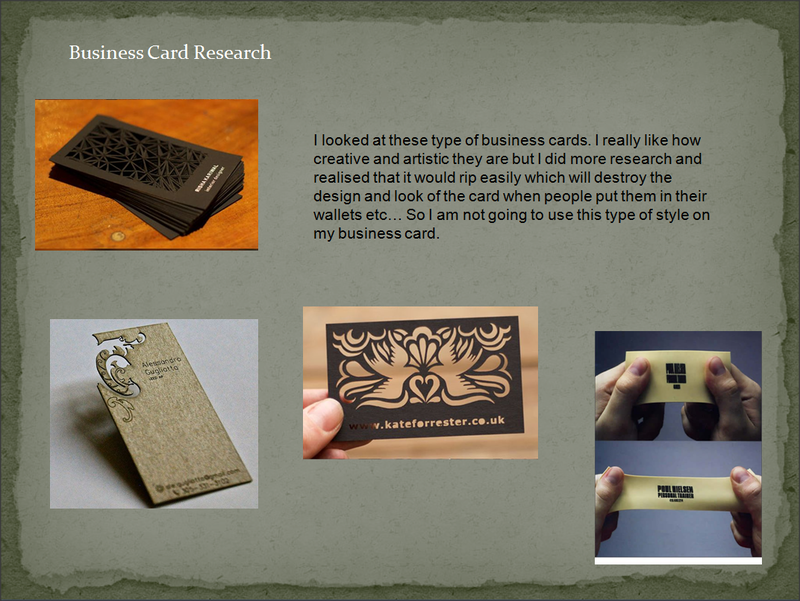 This post is just to show what research I have done so far. 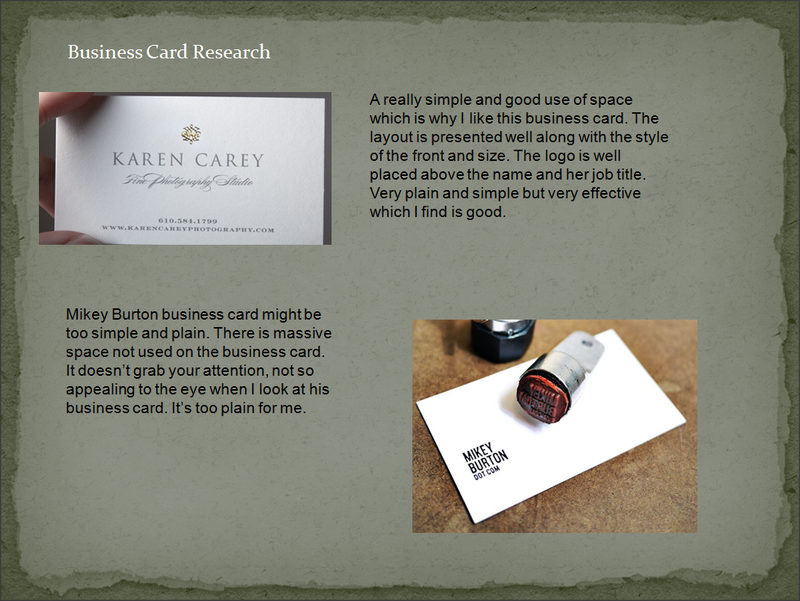 I have been looking at different styles of business cards that are out there. 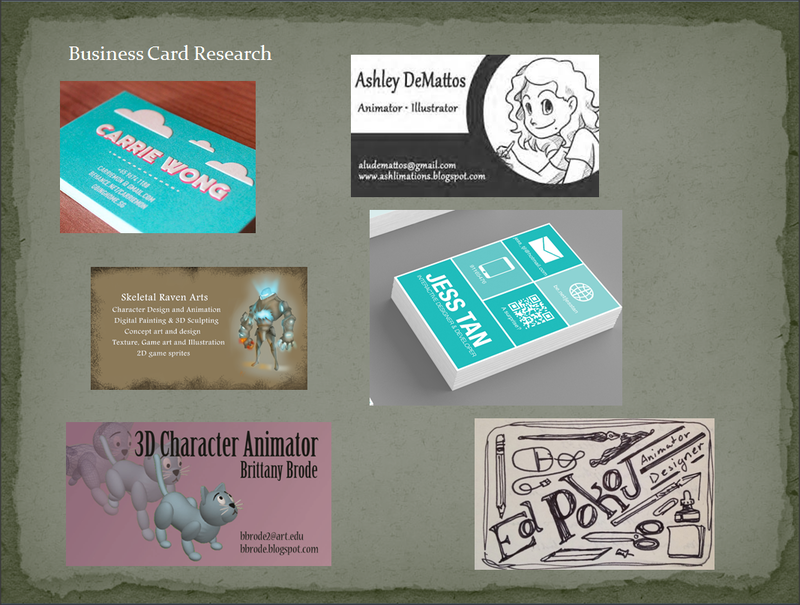 Some are related to animation and some are not, but the ones that are not related I chose because I really like the design of the business card. 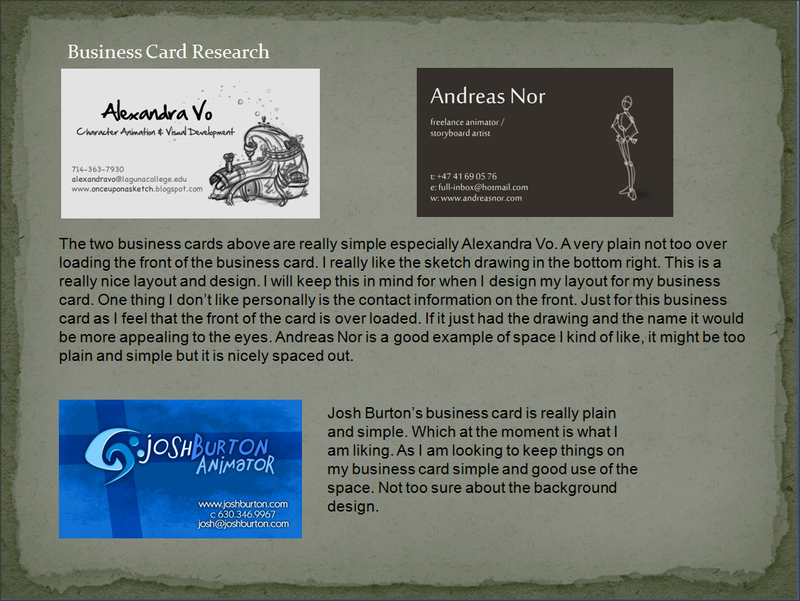 Now that I have completed my research and narrowed down the types and styles of business cards that influence me I will now look at those influences and sketch some designs and then improve on those designs.